DRONE-ONE is a not-for-profit coalition of public safety agencies formed to raise money to support a Air Support Program for local law enforcement, emergency management and fire. Rockford and the surrounding area is currently experiencing its most violent crime problem in its history. It is up to every one of us to support our law enforcement officers and give them the tools required to make our community safe. 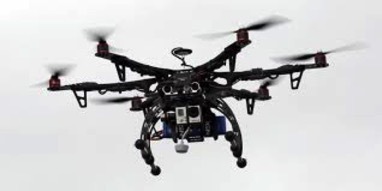 Chief Dan O'Shea said in a recent email "I love the idea, so much that I wrote a staff study research paper on UAS in Command School a few years back" The main goal of illinoisdroneone.org is to raise $100,000.00 to purchase and support a drone program for our local public safety agencies. 100% of the donations will be used to purchase and support the Drone program. There will be no administration fees deducted.